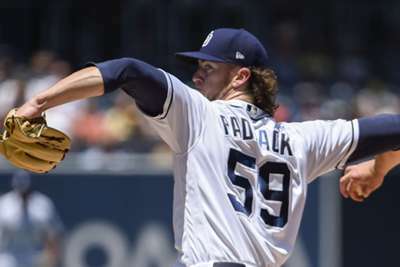 The Milwaukee Brewers and Chicago Cubs secured their places in the MLB playoffs, while the Colorado Rockies crushed the Philadelphia Phillies. 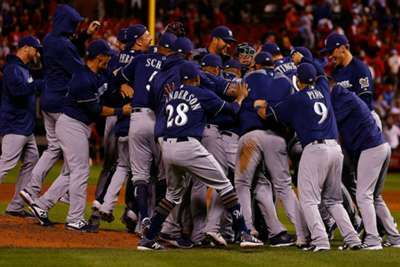 On Wednesday, the Brewers edged the St Louis Cardinals 2-1 and the Cubs outlasted the Pittsburgh Pirates 7-6. The Brewers' victory – keyed by a solid Jhoulys Chacin start with one earned run in five innings and two Travis Shaw RBIs – clinched both Milwaukee and Chicago postseason spots. Meanwhile, the Cubs blew a five-run lead against the Pirates before winning in 10 innings. The Rockies boosted their chances with a 14-0 blowout against the Phillies. German Marquez made history by striking out the first eight batters he faced and the Rockies had 16 hits and four homers in their big win. The Los Angeles Dodgers fell one game behind the Rockies in the National League West following a 7-2 defeat to the Arizona Diamondbacks. So, the NL playoff-wildcard race has been reduced to this: If the Cardinals finish with a better record than the second-place finisher in the NL West – either the Rockies or Dodgers – they will be a wild-card team. If not, either Colorado or Los Angeles will be the wildcard. Wednesday just slightly simplified the wildcard situation. The Cubs, Brewers, Dodgers and Rockies are still vying for division titles. Boston Red Sox third baseman Rafael Devers cracked a pair of home runs and had four hits and six RBIs in a 19-3 rout over the Baltimore Orioles. Washington Nationals centerfielder Victor Robles had four hits, including a homer, and five RBIs, plus a stolen base, in a 9-3 victory against the Miami Marlins. The 21-year-old rising star is the youngest player ever to do all that in one game, surpassing Jimmie Foxx, who was a couple of months older when he did it in 1929. Orioles starter Ryan Meisinger gave up five earned runs and recorded only one out against the Red Sox. Marlins reliever Brett Graves gave up four earned runs on four hits and a walk in one inning of work as Miami lost to the Nationals. Rockies starter Marquez struck out the first eight batters against the Phillies to tie an MLB record in the modern era (since 1900). He finished with 11 strikeouts, and pitched seven scoreless innings in Colorado's win. 8 straight Ks to start the game? Every game is a must-win for the Rockies as they battle the Dodgers for the NL West crown. They face struggling Phillies starter Jake Arrieta, who has given up four or more earned runs in six of his last eight starts.